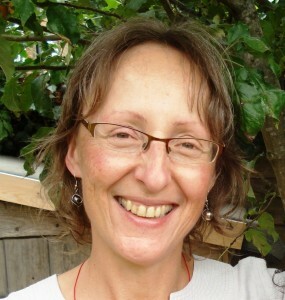 Julie Ulbricht (Rawnsley) BSc, PG Dip Ayurvedic Medicine (Middlesex University), is a full member of the Ayurvedic Practitioners Association. As well as clinical training in Ayurvedic hospitals in Karnataka, India, she has received specialist training in pulse reading at Ayushakti in Mumbai. My practice has been influenced by the many inspirational teachers that I have been blessed to study with; including Dr Vasant Lad, Lama Tsultrim Allione and Barbara Morgan. Following my deep interest in the connection between body, mind and emotions, I trained to be an Amnanda therapist in 2010 and now train other therapists. I also use Feeding Your Demons and Family Constellations to work with the underlying emotions and family dynamics which can impact our health and well being. “It was such a relief to find some guidance with positive suggestions about how to improve my diet. Previously it seemed anything I ate caused problems and I couldn’t isolate what the triggers were. Julie is an intelligent, knowledgeable and gifted woman with some important healing tools in her hands. I couldn’t recommend her highly enough” Clare, London. “I very much appreciate your patience, guidance and calming influence on me.” Kelly, London. “After the very first session my anxiety decreased and completely resolved after a few sessions. I began to feel an inner calmness, even in times of difficulty.” Amanda, London. “The next morning I woke up feeling totally relaxed – as if every single muscle was soft – amazing!” Anne, Surrey.